I felt I ought to do something to acknowledge the tenth anniversary of 7/7, given that I’m a Londoner and the events that July are a significant part of Ghosts of Chechnya. But what? Though I was in London on that day in July 2005, I wasn’t anywhere near where the bombs went off, nor did I know anyone directly affected. As to what it was like for anyone who was inside the bombed bus or tube carriages, I truly cannot imagine. In the weeks leading up to the anniversary, I watched documentaries about the courage and humanity displayed after the bombings, and read newspaper interviews with survivors and the bereaved as they struggled with physical and mental injuries, bitterness and regret. This wasn’t enough, somehow. 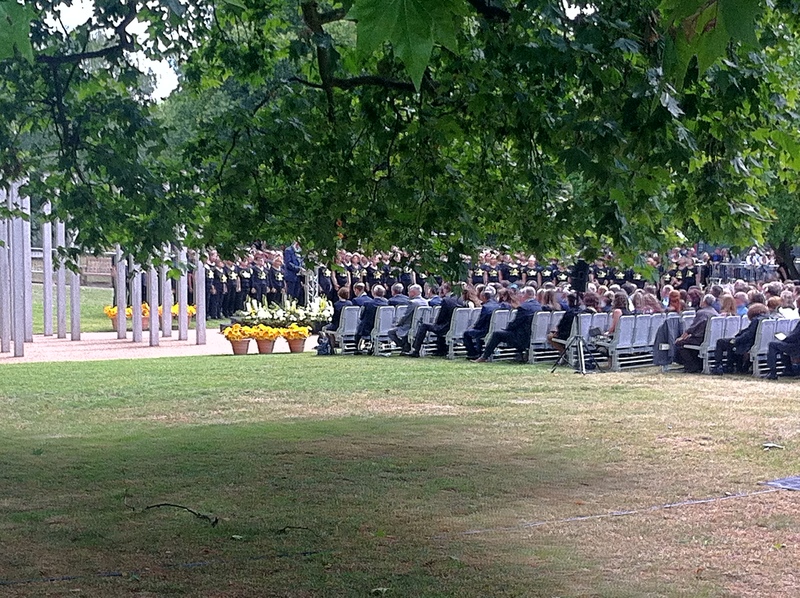 On the morning of 7/7/15, I decided (despite my husband’s concern about possible repeat attacks) to take a bus to the Hyde Park remembrance event. I stood beside a horde of TV cameras and reporters, and listened to survivors of the bombings speak about that day and its effects on them. The names of the 52 who died were read out, then families and friends of the dead lay flowers at the 52 pillars built in their memory. While this was going on, a woman walked with the aid of a stick to the fence just in front of me and hugged a younger woman standing on the other side – mother and daughter, I guessed. I looked away, fighting back tears. 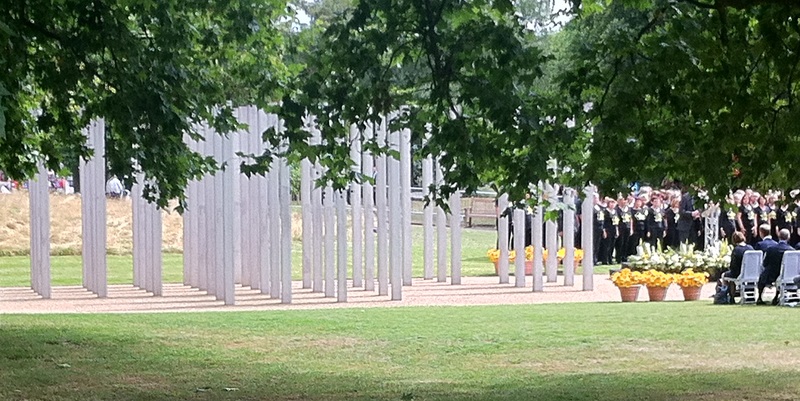 In that moment the horror and waste of 7/7 came back to me, in a way I hadn’t felt since that day in 2005. But I knew that whereas I would go home and soon forget about it, those two women would never forget. Perhaps it’s enough to bear witness – perhaps it’s all most of us can do. We can mentally stand with those whose lives changed on 7th July 2005, and think once in a while of the 52 who didn’t make it past that date.